One half of the distance between nuclei of two neighboring molecules of the same element. 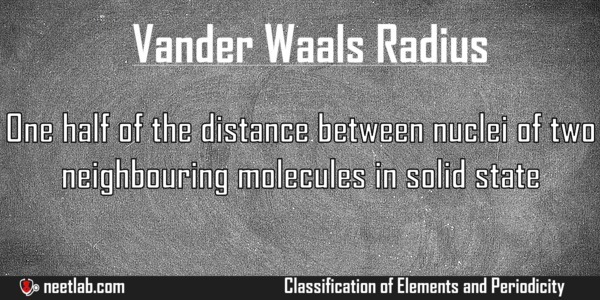 When you bring two molecules of an element close to each other, then the distance between nucleus of these two molecules is called Van der Walls diameter. Half of this distance is called Van der Walls Radii. 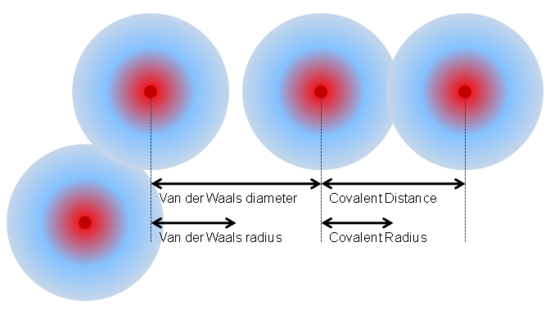 Van der Walls Radii is always greater than covalent bond because there is no bonding.